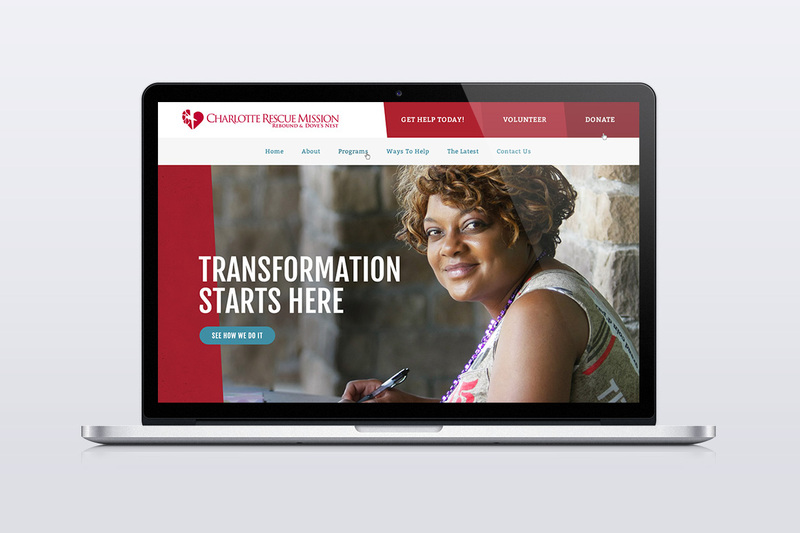 Since 1938, nonprofit organization Charlotte Rescue Mission has helped many individuals overcome addiction, homelessness, and poverty. 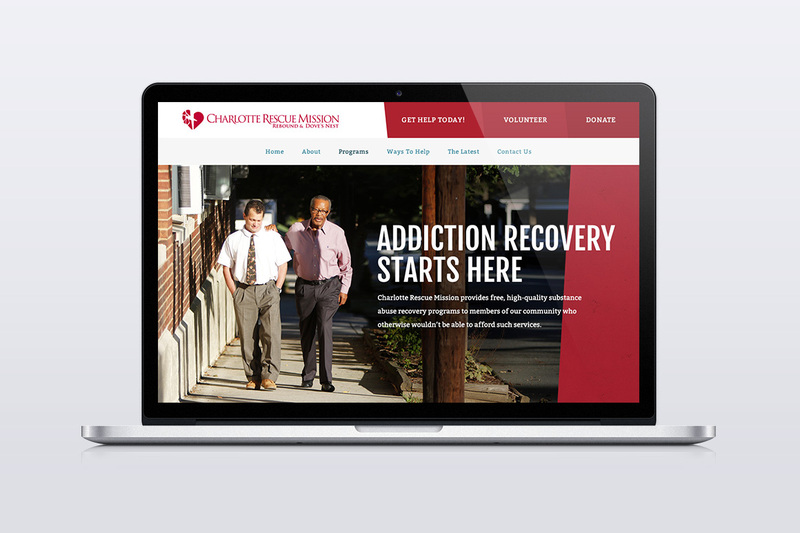 Based in uptown Charlotte, North Carolina, CRM has expanded its recovery programs over the years. 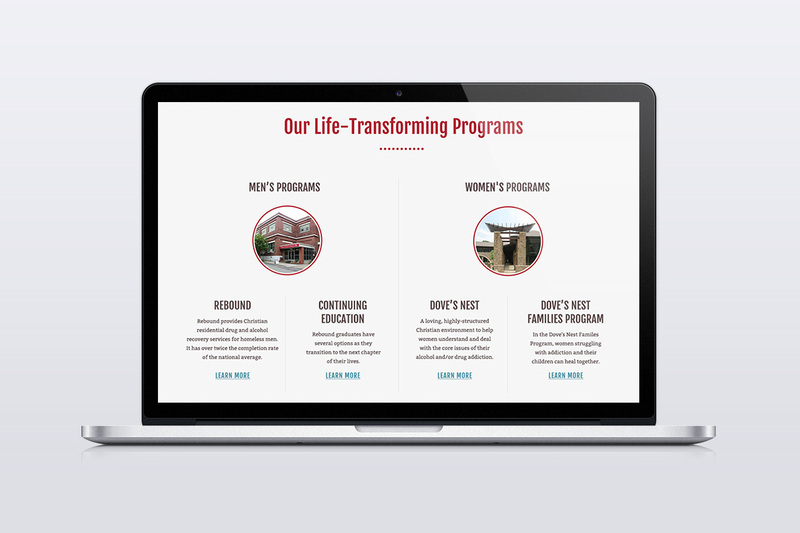 In 2016, they sought to refurbish their online presence, looking for a clean, responsive, and user-friendly website. 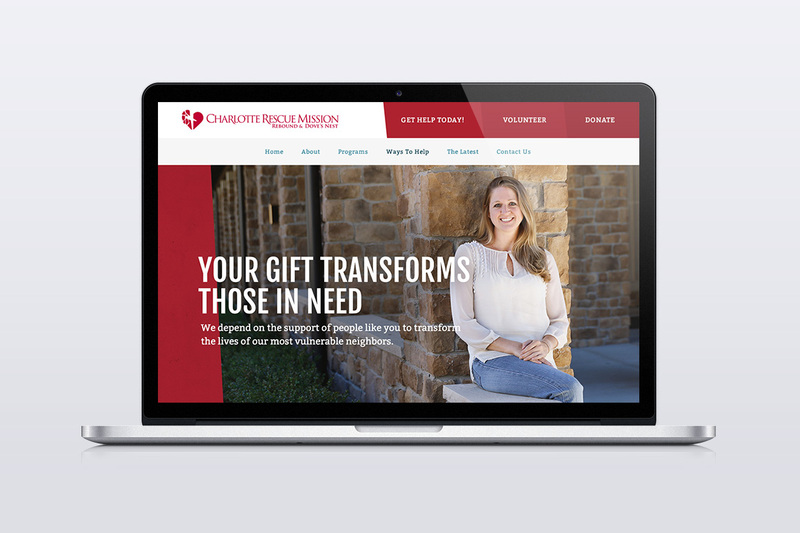 Partnering with Los Angeles, CA marketing agency Brewer Direct, we developed a fully responsive website for Charlotte Rescue Mission. To realize this goal, we put into effect a thoroughly customized WordPress theme. 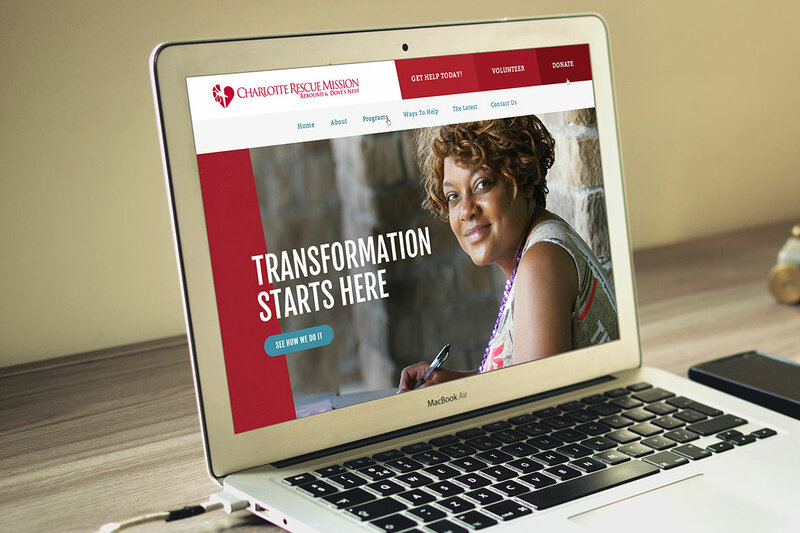 The Charlotte Rescue Mission website now features easy navigation and access to its programs and testimonials.